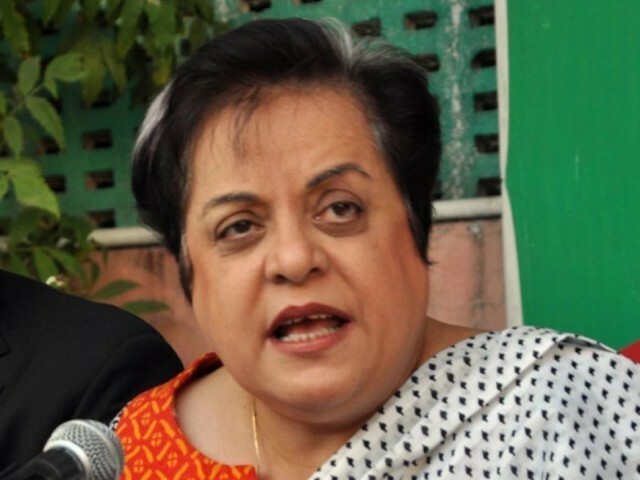 Shireen Mazari’s weight is not a political issue! Being an overweight public figure isn’t easy. In a world obsessed with appearances, it’s like wearing a ready-made joke on your lapel that you just know your critics will use the first chance they get, however irrelevant it might be. Fat-shaming is effortless. On the list of categories of comedy arranged by the level of creativity involved, a fat joke is half a step higher than letting out a fart and giggling. All one requires, is to take note of the obvious fact that a person weighs more than normal, and compare him or her to any number of large, heavy objects like trucks and containers. And the best part about fat jokes is that they’re easily interchangeable among obese public figures. What applies to Shireen Mazari, applies to Maulana Tahir Ashrafi, academic prodigy Ali Moeen Nawazish, and even US senator, Chris Christie. 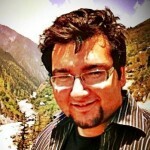 The internet now stands rife with jokes on Mazari’s weight and gender. On one occasion, Hassan Nasir sarcastically complained about Mazari being called a ‘bulbul’ (a fairly mild, but gender-specific form of insult) by a friend of his, and suggested calling her a ‘bull bull’ instead. The following are the responses I’m likely to receive concerning my position on the matter. As a person whose political stance is almost wholly antagonistic to Mazari’s, I’m still upset by the barrage of memes on the internet mocking her for her weight. They choose not to target her rhetoric, idealism, political immaturity or constitutional ignorance, all of which require amateur comedians and the consumers of their jokes to educate them first. Why not just point at her and call her ‘fat’ instead? It’s quick and appeals to the common denominator. For women, it’s a double whammy. The society has reached an unspoken and virtually uncontested agreement that a woman’s natural responsibility, above all, is to be pretty. Men have a slight advantage as they are more often judged by their career success, political acumen, and earnings. For a female, the cardinal sin is not keeping her appearance at the top of her list of priorities. Obesity has been used as a comedic tool for so long, that humanity’s collective neuronal circuitry has been rewired to treat fat people as living jokes. Obese persons nearly lose their right to be taken seriously. Fat-shaming is so perverse, that the majority now considers it a community-service – a way to motivate people for physical fitness. This attitude represents gross ignorance of human biology, and the fact that obesity can be extremely tenacious. Some people, through a series of uncontrollable factors, simply have a harder time losing weight than others. It’s essential to be empathetic to their difficulties. Failure to drop enough pounds is not evidence of the person not trying to do so. Imagine one cracking a joke about brain haemorrhage, when your grandparent has recently died of one; and on noticing the darkening expression on your face, him chiding you for lacking a sense of humour or being too sensitive. You may argue that fatness is not a tragedy at par with a dead grandparent, but it’s not as light-hearted as you might think either. Obesity is often a matter of great physical and social torment for an affected person, and you just have to excuse him or her for not being amused by you joking about it. Fat people often feign laughter when humorously called out on their weight problem, out of fear of being labelled ‘stern’ or ‘pompous’. Many of them then go about sulking privately in front of a mirror for the rest of the day, just because you decided to be a comedian and shame them for their size, which they’re having a very difficult time changing. A fat joke hangs above a large person’s head like an anvil, waiting to drop at any moment as the cord is so easy to cut. It’s exhausting keeping oneself constantly braced for it, and worst of all, having it misconstrued as valid argument against one’s personal or professional decisions, whatever they may be. I trust us to find a better way to entertain ourselves, and criticise Shireen Mazari, without dehumanising and shaming her for her physical appearance. Faraz, I generally disagree with your views (while respecting your courage in putting them out there), but this time my friend you have hit the nail right in the center of its tiny little head. I absolutely hate and abhor it when people make fun of some overweight individuals whom I love very much. And then saying “Oh I’m just trying to motivate him/her to get to the gym and work it off” is nothing but the most concentrated vomit-inducing form of pure, unadulterated crap. No, you’re not trying to help them. You’re just trying to act cool and make people laugh at the expense of someone else who you’re damaging psychologically and emotionally every single time you open your mouth. Probably the most useless blog ever written.